Kolkata Knight Riders: Gautam Gambhir (captain), Darren Bravo, Trent Boult, Piyush Chawla, Nathan Coulter Nile, Colin de Grandhomme, Rishi Dhawan, Sayan Ghosh, Shaikb Al Hasan, Sheldon Jackson, Ishank Jaggi, Kuldeep Yadav, Chris Woakes, Chris Lynn, Sunil Narine, Manish Pandey, Yusuf Pathan, Ankit Rajpoot, Suryakumar Yadav, Robin Uthappa (wicketkeeper) and Umesh Yadav. 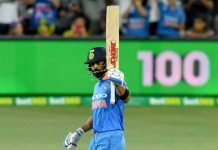 Sunrisers Hyderabad: David Warner (captain), Shikhar Dhawan, Moises Henriques, Yuvraj Singh, Deepak Hooda, Ben Cutting, Naman Ojha (wicketkeeper), Bipul Sharma, Rashid Khan, Bhuvneshwar Kumar, Ashish Nehra, Tanmay Agarwal, Ricky Bhui, Eklavya Dwivedi, Chris Jordan, Kane Williamson, Siddharth Kaul, Ben Laughlin, Abhimanyu Mithun, Mohd Nabi, Mohd Siraj, Vijay Shankar, B Sran and Pravin Tambe. Both the teams have a formidable line-up, but Sunrisers Hyderabad could be preferably advantageous as they won the title freshly last year. But IPL is a pretty tricky game and win or lose is highly unpredictable. You can only decide when the match actually starts. Gautam Gambhir who has been the skipper of the Knights brings two wins to their favor,whereas David Warner compliments the team with two wins as well. Both of the captains share the same number of wins till now in this season of IPL, but Gautam Gambhir seems to be in a better form than Warner who hasn’t scored many runs. SRH might have noted down KKR’s novel move, when they send Sunil Narine to open the batting with Gautam Gambhir.Rashid Khan is SRH’s leg spinning sensation and could be a force to reckon with. Let’s see how their tactics pan out and make the difference between win and loss. Two of the most fancied teams in this tournament will go up against each other at the Eden Gardens in this match. 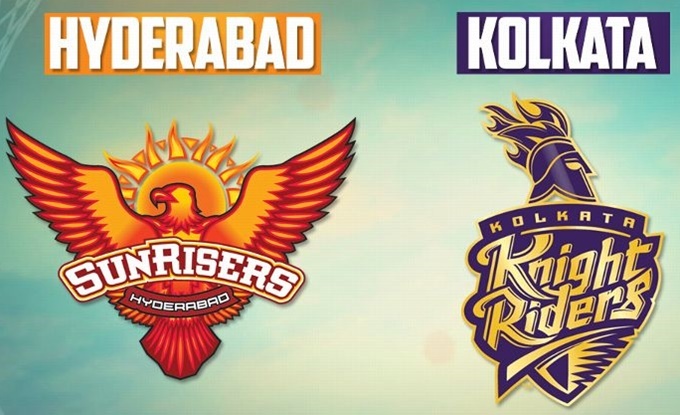 Early indications suggest that KKR and Sunrisers Hyderabad will be in the mix for the playoff spots and so this match could be very important in the larger scheme of things. Wow! 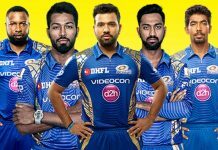 As Ipl is getting progress the excitement of this game is increasing day by day, and like this again a match is going to be played on Eden Garden Kolkata between Kolkata Knight Riders and Gujrat Lions. Buoyant Kolkata Knight Riders (KKR) will look to continue their winning momentum when they face defending champions Sunrisers Hyderabad (SRH) in the Indian Premier League (April 15). Both the teams are playing very well this session, and it can’t be denied that Kolkata is a team which is performing the game in a very well and that’s why Kolkata is at the top of the point table this session. And the advantage which Kolkata is getting in this match is its home ground. But as Gujrat is also not a team which cannot win the games because in their team the players are adamant and can play very well at any point of the match and that’s the main strength which Gujrat players have got. And all the players of this team are youngsters which are also a plus point of this team. But the point which is with Kolkata players is that the Kolkata is playing very well, and all the players of Kolkata are in form and performing very well in every game which they are playing. The main plus point which Kolkata has got is its home ground, and it’s a record that Kolkata have won its all the matches on their home ground. So it is going to be a match which is going to be full of thrill and suspense also the main point of this game is that if Kolkata wins this game, then they will get more points and if Gujrat will win this game then they will also get some good ranking in point table. As now Lions are not at the proper level of the Ipl so it is very much required for the Gujrat Lions to win this game.